The Margaret Mary Health Foundation was established in 2012 to ensure the hospital’s legacy of quality and compassionate care continues for generations. We engage the community as partners in health improvement and raise funds to enhance hospital programs, services and technology. Thanks to our generous donors, the Foundation has been able to provide a variety of grants. Although monetary donations are always appreciated, there are many other ways you can give to the Foundation. Get information about our Grateful Patient program and other opportunities. Making a planned gift to the Foundation is a wonderful way to support the health and wellness of our communities while accomplishing your own personal, financial, and philanthropic goals. Support the Foundation with a monetary donation. Your gift helps support us as we change lives in our community. In 2016, the Foundation paved and opened a walking trail for community use on our Six Pine Ranch campus. The trail provides a safe, scenic place for area residents to walk. Research shows that bachelor's prepared nurses can positively impact patient outcomes. 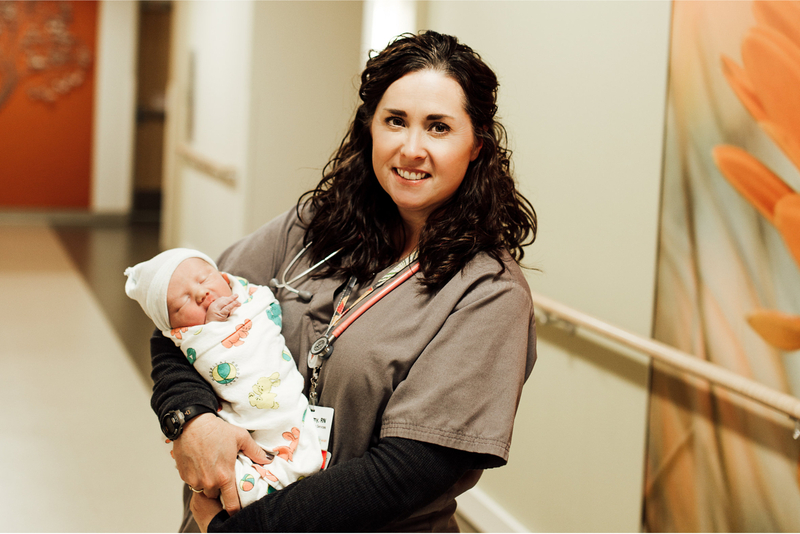 Our Foundation is proud to provide financial assistance to nurses pursuing BSN degrees. Spending the night in the hospital can be stressful, especially for a child. That's why our Foundation purchased a new pediatric gaming system to keep them entertained during their stay. See what your contribution can do! Maybe it was a smile, kind word or gesture which brought you or your loved one comfort. At MMH, patients often ask if there is a way for them to recognize caregivers who provided exceptional care during their stay. Through our Grateful Patient program, we invite you to make a monetary donation to the Health Foundation in your caregiver's name. For Cliff and Jean Meer, giving back to the Health Foundation was a decision that was easy to make. Lifelong residents of Batesville, the couple has used MMH in times of happiness and times of difficulty. "All 12 of our children were born at Margaret Mary," said Jean. "We've had a few emergencies over the years, too," added Cliff, who used MMH's Emergency Department after a tree fell on him, breaking several bones. More recently, Cliff underwent a knee replacement at MMH. Today, he is doing well ... still working on the farm and enjoying the occasional dance with his wife. "We are so blessed to have Margaret Mary in our community," he added. When Ron and Melody Jobst were asked why they support the Health Foundation, their answer was simple. "This hospital is such a big part of our family," Melody said. "Not only were our children born at Margaret Mary, but the hospital and its team members were here when we really needed them," said Ron, who has worked at MMH for decades. "When Mel's father had a heart attack, he was taken to our Emergency Department. Because of their quick thinking, we were given 15 more years with him." When Susan’s water broke, both she and her husband, Neal Wiggerman, thought they were about to meet their baby girl. Unfortunately, little Joanna had other plans. After almost 24 hours in labor and little progress, Susan’s physician, Dr. Jeff Hatcher, was left with little choice but to perform a C-section. Just 30 minutes after the decision was made, Joanna was born at 8:07 a.m. on Tuesday, January 30. Our mission is to improve the health and wellness of the families in our communities through philanthropy. 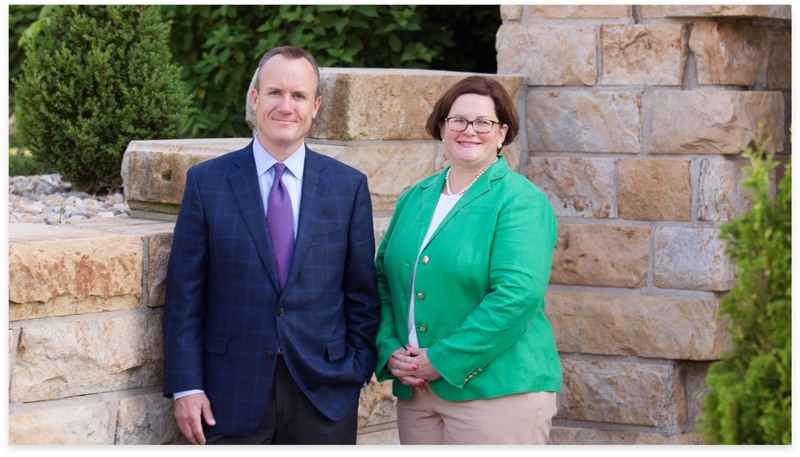 William Hillenbrand II, Chairman, Board of Directors and Mary Dickey, Executive Director. See how we are changing lives in our community and you can help.